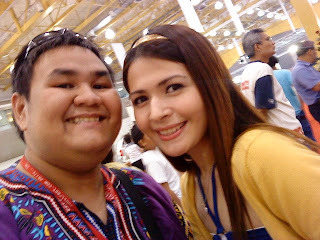 Now here in World Trade for the 2009 Manila International Auto show. We are here for the grand launch of TopGear.com.ph. If you have that thing with cars (and beautiful women, hehehe), this is the event for you. MIAS will be held here in World Trade until Sunday, April 5. Please do visit the TopGear booth. See u Tommorrow at Auto show..
and your wearing the signature chick magnet ethnic shirt huh..